By teaching literature rhetorically, we prepare students to be adaptive thinkers and communicators who can transfer their learning to new tasks and settings. This book explores rhetorical approaches to novels, short stories, poetry, and drama that empower ALL students to read and write across the diverse contexts of today and tomorrow. “When am I ever going to need this again?” If you’ve heard students ask this in your English class, Jennifer Fletcher has just the answer. Teaching Literature Rhetorically shows you how to help your students develop transferable literacy skills that allow them to succeed not just in their English language arts classes, but, more importantly, their future lives in college, career, and beyond. reading and writing with passion. Teaching Literature Rhetorically offers readers writing prompts, readings, discussion questions, graphic organizers, as well as examples of student work and activities for helping students to understand key rhetorical concepts. 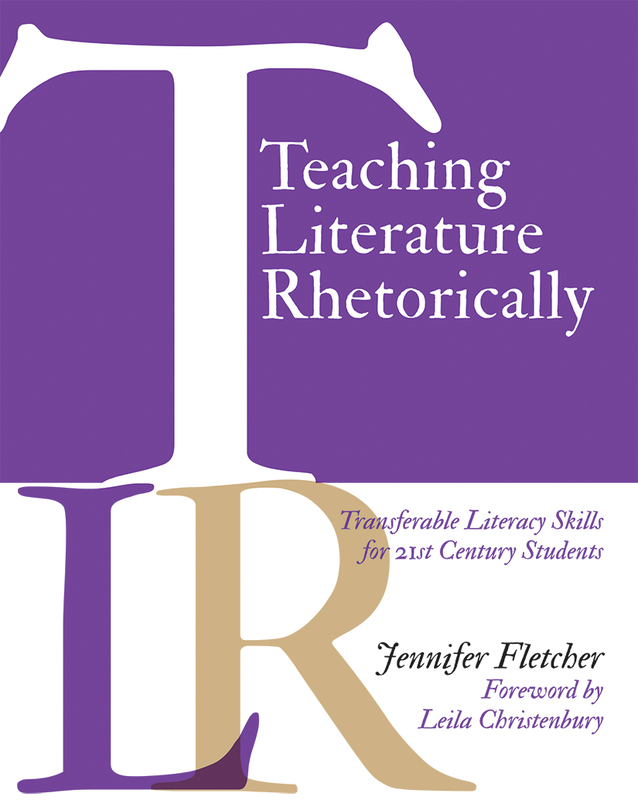 As Jennifer writes in her introduction “rhetorical thinking promotes the transfer of learning — the single most important goal we can have as teachers if we hope to have a positive impact on our students’ lives.” By teaching literature rhetorically, we prepare students to be adaptive thinkers and communicators who can transfer their learning to new tasks and settings. This book explores rhetorical approaches to novels, short stories, poetry, drama, and multicultural and young adult literature that empower ALL students to read and write across the diverse contexts of today and tomorrow. The key claim of this book is that a rhetorical approach will ‘promote the kind of deep and transferable learning that prepares students to be adaptive thinkers and communicators who thrive across the diverse contexts of their lives.’ And it does this without diminishing the aesthetic experience of literary texts.